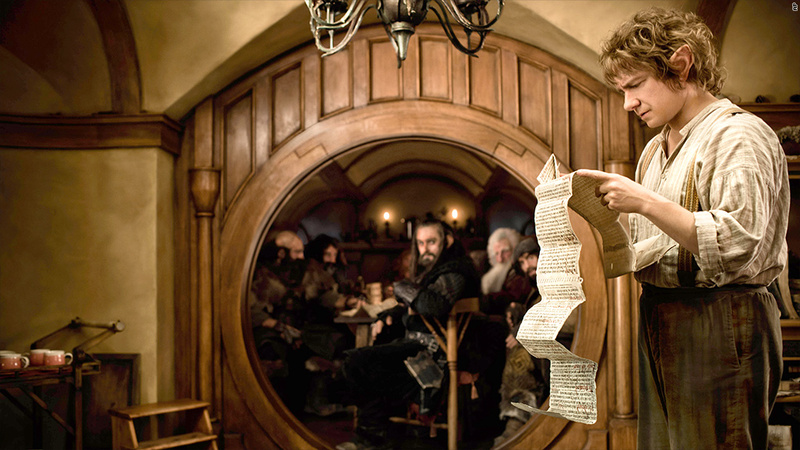 A dispute over the latest Hobbit movie -- which releases this weekend -- has gone to court. Miramax, the studio founded by Harvey and Robert Weinstein, filed suit in a New York state court Tuesday claiming film producer Warner Bros. owes them proceeds from two forthcoming movies in the Hobbit trilogy, including the one opening this weekend. At the center of the dispute: a 1998 deal between Warner Bros., a corporate cousin of CNNMoney's parent Time Warner (TWX), and Miramax over movie rights to J.R.R. Tolkien's books "The Hobbit" and "The Lord of the Rings" trilogy. The deal gave Miramax rights to a portion of proceeds from the first "Hobbit" movie, according to court documents. Warner Bros. split "The Hobbit" into three films. In the court filing. Miramax alleges Warner Bros. exhibited "greed and ingratitude" by dividing the story, and claimed it is entitled to a portion of receipts from each of the films. That could amount to $75 million or more, Miramax claimed. Warner Bros. responded that Miramax's decision to sell the rights was "one of the great blunders in movie history," but a decision Miramax must live with. "No amount of trying to rewrite history can change that fact," Warner Bros. spokesman Paul McGuire said in a statement. "They agreed to be paid only on the first motion picture based on "The Hobbit." And that's all they're owed." Miramax didn't immediately respond to requests for comment. The two parties are separately entering arbitration over the dispute. The second movie in the series, "The Hobbit: The Desolation of Smaug" opens this weekend. A third installment in the trilogy, a tale of hobbit Bilbo Baggins set in pre-historic middle-Earth, is expected to open in December 2014. The first installment, "The Hobbit: An Unexpected Journey," has grossed a little more than $1 billion worldwide since its release a year ago, according to ticket sales tracker Box Office Mojo. A source with knowledge of the situation said Miramax's portion of that film's receipts is about $25 million so far.